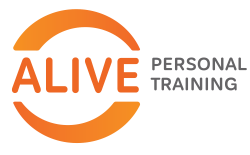 Joining the Alive team in 2018, George is our newest trainer with a keen interest in health & wellbeing. With his extensive experience in martial arts, George will teach you empowering boxing for health & fitness skills. In your sessions he will also apply his University studies in injury prevention and rehabilitation to any areas of potential weakness/injury. George has been practicing Wing-Chun and Aikido from an early age. Due to this dedication he has a strong passion for martial arts and eastern philosophies. George is also a dedicated St Kilda AFL fan (and we don’t hold that against him! ).